Built to last, our heavy duty closeboard panels are easy to erect and are designed to withstand high winds. 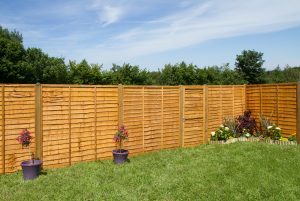 This popular type of fencing is renowned for its strength and durability. It’s attractive, versatile and easy to install. 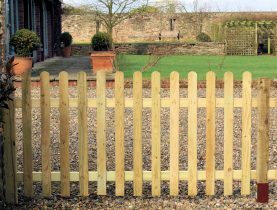 Our picket fencing is decorative in appearance and unobtrusive. It’s available in a range of styles and sizes, and is easy to install. 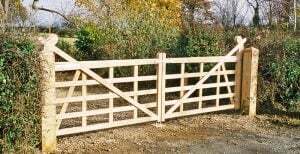 Our range of traditional-look five bar gates are strong and versatile, and can be adapted to special widths and heights. 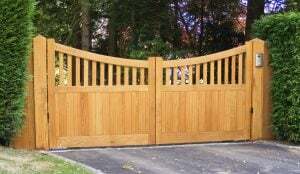 Our range of solid timber entrance gates are expertly crafted and will help ensure your security and privacy. 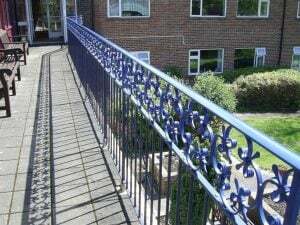 Our metal gates look good and provide excellent security. They are strong and durable, and complement brick walling. 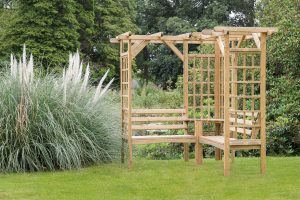 Our wooden pergolas and arches are expertly made. Strong and long lasting, they look good in any garden. 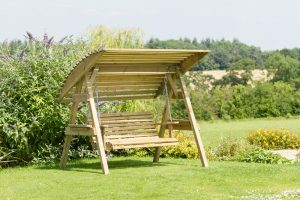 We offer a range of quality wooden garden furniture. Every piece is strong, durable and the perfect addition to any garden. 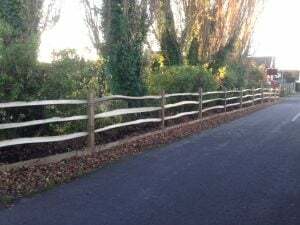 Our post and rail fencing is strong and durable. 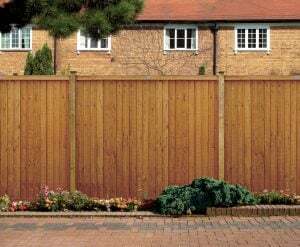 Easy to install, this attractive style of fencing is made to the highest standard. Our timber trellis panels are expertly made. 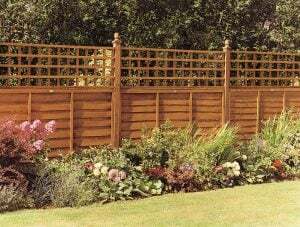 Robust and long lasting, the trellis panels are attractive and easy to install. We offer high-quality wooden decking and decking materials. 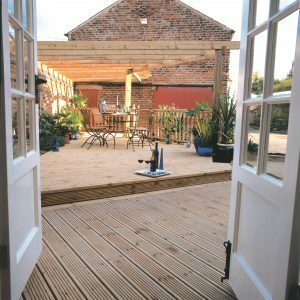 Choose from a range of decking styles and accessories. 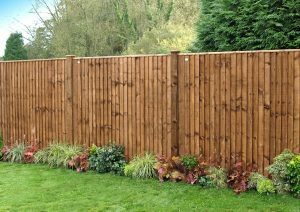 Easy to install and long lasting, popular waney edge fencing panels are attractive and require only minimal maintenance. 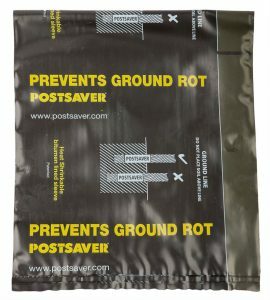 Our postsavers protect against rot and decay, and can significantly extend the lifetime of your fencing and gates.